LOS ANGELES -- Comedians and other Hollywood stars paid tribute to comedy legend and humanitarian Jerry Lewis after word of his passing on Sunday. He was 91 years old. "That fool was no dummy. Jerry Lewis was an undeniable genius an unfathomable blessing, comedy's absolute! I am because he was!" -Jim Carrey on Twitter. 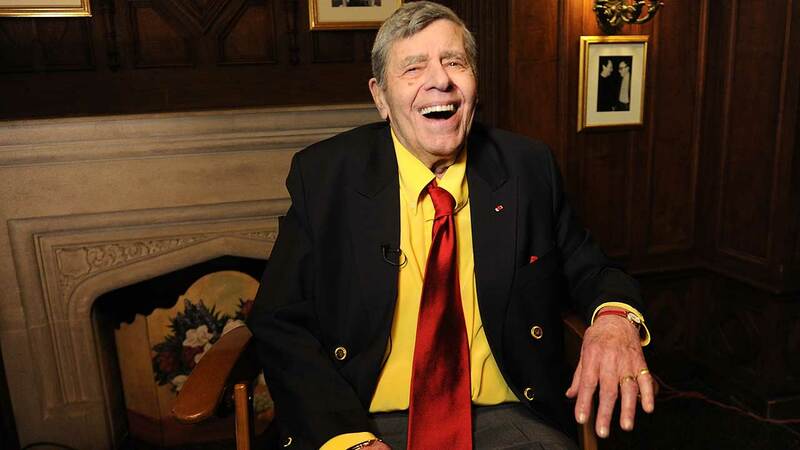 "The Muscular Dystrophy Association is deeply saddened by the death of beloved comedian, performer, humanitarian and former MDA telethon star and national chairman Jerry Lewis. MDA would not be the organization it is today if it were not for Jerry's tireless efforts on behalf of 'his kids.' His enthusiasm for finding cures for neuromuscular disease was matched only by his unyielding commitment to see the fight through to the end...'" -MDA Chairman of the Board R. Rodney Howell in a statement.